While teaching is rewarding and worth every minute of it, being an educator is hard. As a classroom teacher, there were many days that I questioned if I’d done enough, if I’d met the rigor of the standard, if I’d pushed my students too much, or not enough. In looking back on that time, I was constantly in search of materials to combat curriculum that wasn’t rigorous enough. I loved my students; I was passionate about their growth. But many days I had to refocus on my purpose and goals because the work seemed insurmountable. I analyzed my data, and as a learner myself, I knew I could do better. I was always in search of a better way, and as a result, nearly worked myself to death. But I was a lucky one. I have teacher friends who are an amazing support system to help me get through the difficult times. I have had amazing opportunities over the last several years, which were some of the most powerful years of educational growth in my life. During these years, I had the privilege to be in a school that began the school year building a common goal and vision. The year continued with deep dives into data and professional learning with sustained classroom coaching from a leader who not only understood the value of being in classrooms but also had experience as a coach. As I said, I was lucky. Learning opportunities came wrapped in a model of support with a focus on growth, something many people never experience. Not only growing myself, but being able to watch teachers develop their craft and leave each day with smiles on their faces was new, and a direct example of what Impact Florida calls The Five Conditions in action. Along with peace came a great deal of excitement. As I participated in discussions centered on The Five Conditions at Impact Florida’s recent Summit, I experienced an affirmation of the core beliefs of the schools in which I’ve been fortunate enough to work. I could feel excitement soaring because the work is rooted in foundational tenets that support teachers and students in these challenging times. In my mind, these conditions speak to “the magic” of teaching, and in reality, how it’s not magic after all. When these Five Conditions are met, teachers have the opportunity to grow in a safe environment, and in the end, students have the opportunity to succeed! Seeing students grow to reach their greatest potential is why teachers teach! Shaping the life of a child is the most precious gift we can experience. To do it with the support of The Five Conditions allows teachers to celebrate every moment of the process as we watch this growth in students and grow and develop ourselves. When school and district leaders focus on these conditions, they, too, can instill the magic needed to change the landscape for kids. 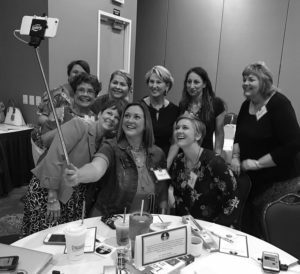 Suzanne Beck attended the 2019 Impact Florida Education Summit and is a Program Development & Training Specialist for the Northeast Florida Education Consortium, where she supports 15 rural districts and specialized schools in improving educational outcomes for kids. She was the Putnam County 2016 Teacher of the Year. Suzanne will be doing a Twitter Takeover of @impactFla on Friday, April 12.